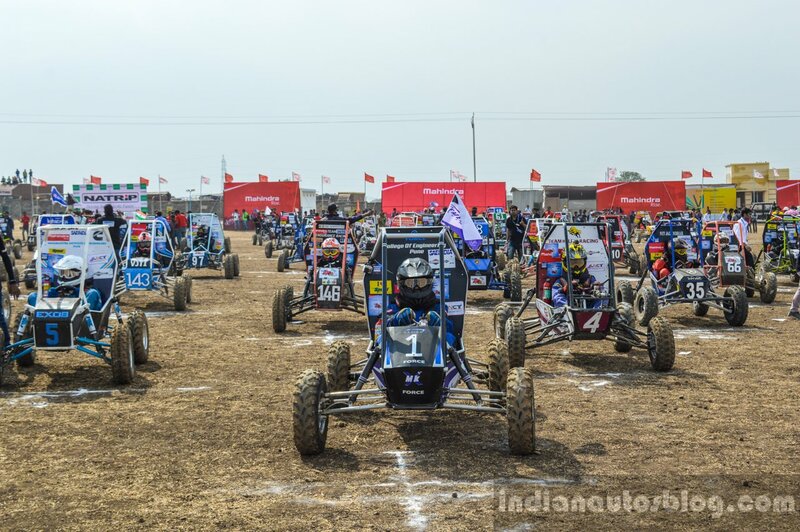 Baja SAE India 2016 has concluded with COEP claiming the title yet again. The team received 9 awards apart from the overall championship. 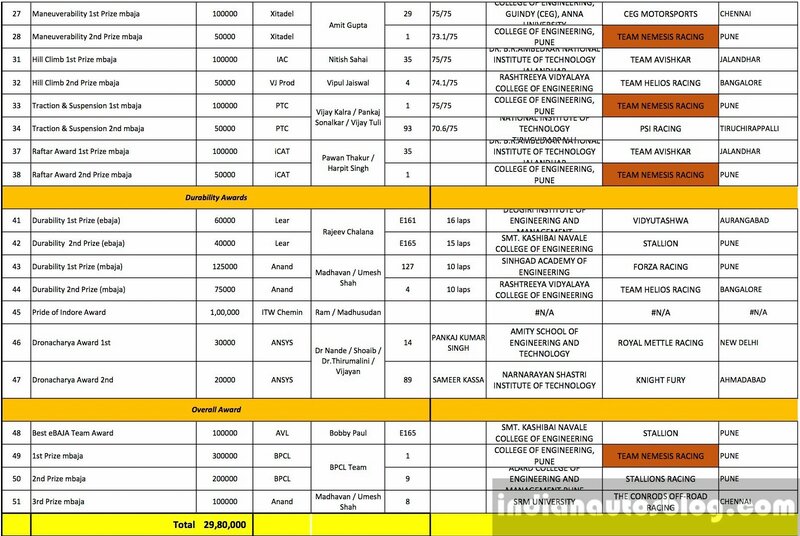 College of Engineering Pune won the Baja 2015 and a couple of earlier editions as well. Compared to the 2015 edition of the Mahindra Baja, the competition this year was substantially more challenging. Right from the technical scrutiny to the various events that tested the buggies and the students that made them, Baja 2016 proved to be the tougher compared to the last eight editions of the same. There were 395 colleges/teams that attended the Virtual Baja and 179 of them were selected for the main event. 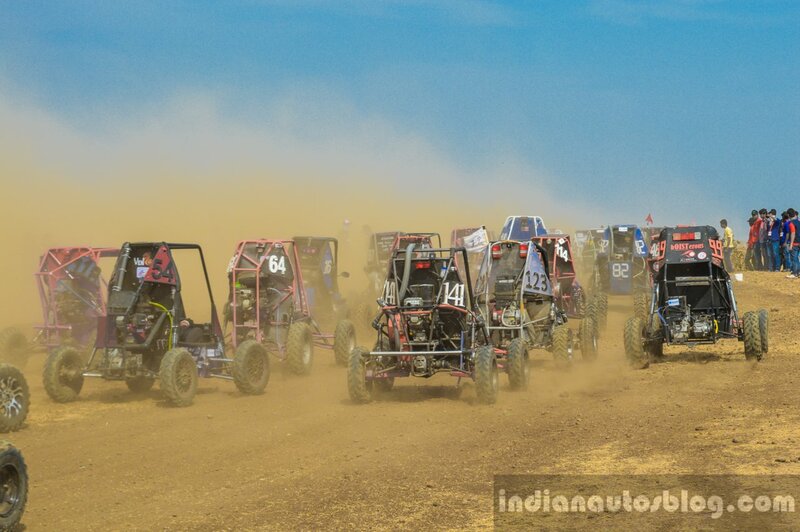 144 buggies made it to the track after completing fabrication and clearing college level technical inspection. 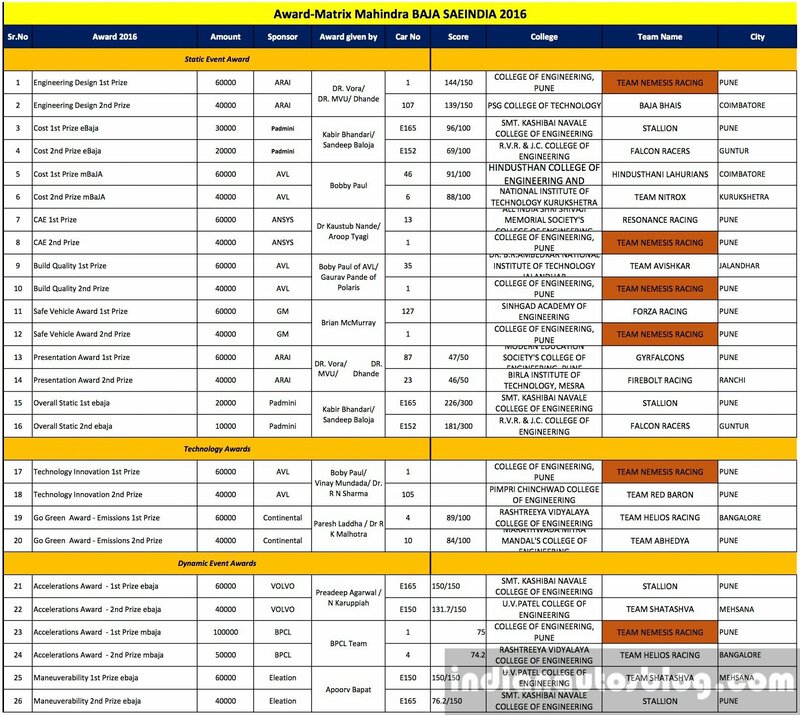 At the on-site scrutiny 18 vehicles were disqualified and hence there were 126 spots at the final race grid. 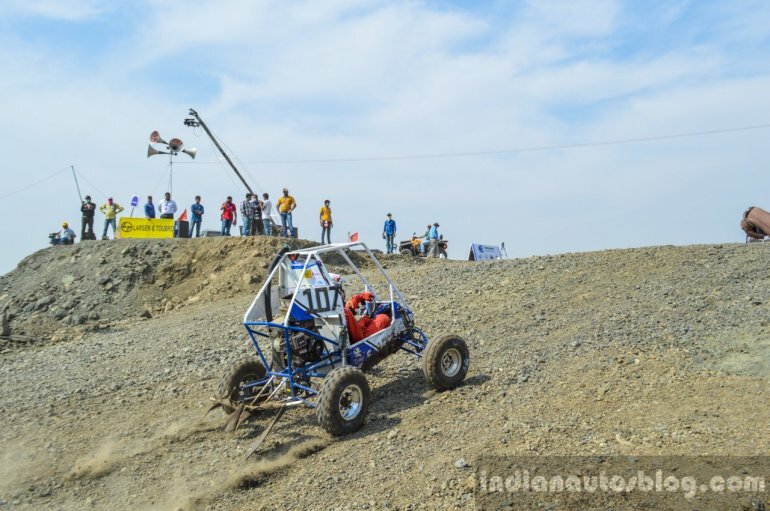 Baja 2016 had the most punishing endurance track in the history of Baja SAE India. 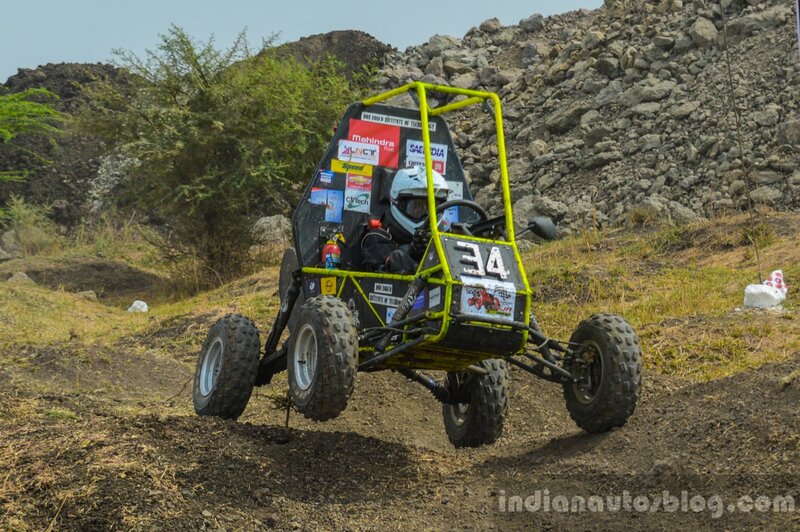 This year's endurance race had the most punishing track in the history of Baja India, with hurdles like Booby Trap, Muddy Farm, Kaala Paani, Herringbone, Gitch Bridge, Jungle Gym, Muddy Bowl and Mountain High, all of which were crafted for higher torture than before. 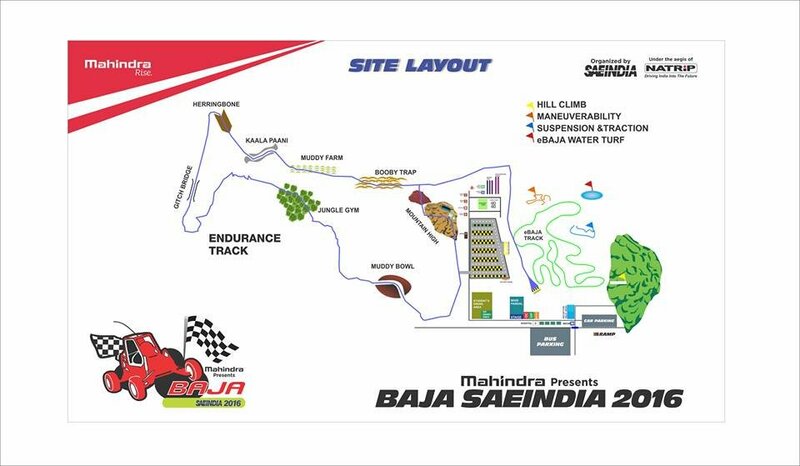 The track length of the main Baja's endurance race was increased from 4.8 km to 5.2 km, having included a forest land into the circuit for the Jungle Gym which is a new addition. The average lap time of last year's endurance race was 27-28 minutes, and despite the increased length and difficulty, this year's average lap time had come down to 23 minutes, courtesy of improvement in the design and durability of most of the ATVs, in other words, the quality of the participating teams. The best lap time of endurance run in Baja 2016 is seven minutes. The highest number of laps completed was 10.